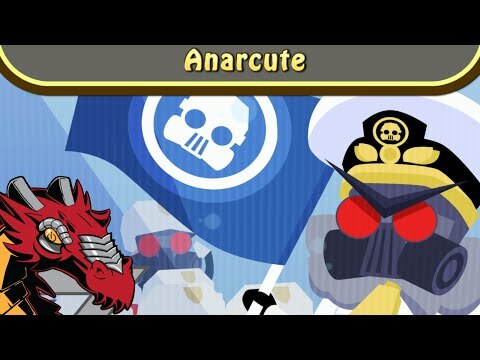 Anarcute is one of the most adorable games you will find this year. Great mechanics, simple and fun gameplay and a music selection that almost everyone will love, but not as much as you will love the little anarchists that are featured in the game. Charming and fast paced, Anarcute is a delightfully quirky little game. Light on story but high on style, this addicting riot simulator offers five to six hours of adorable destruction and cute, colorful animals. As challenging as it is fun, Anarcute requires tactical thinking and quick reflexes. Anarchy has never been this adorable. Anarcute will put you in a good mood through its happy art design and music. The strategy gameplay is simple, but still fun, while providing a decent difficulty curve along the way. Considering that this is the first title of Anarteam and that this was first born as a school assignment of 5 students, this is a more than decent start. Anarcute is a warm and fuzzy, utterly adorable game that plays with mob violence and social unrest. Ever wanted to fight "The Powa" and be cute while at it? Then try out this awesome bundle of arcade-like simplicity and plain ol' fun, the adorable riot sim, Anarcute. It's not perfect, and it has some strong replay value issues, but indie aficionados will surely have a blast with it. A game about property destruction, cop killing, and corgis, it—needless to say—hasn't found itself with the most tactful launch window in videogame history. With a fantastic blend of gameplay mechanics that'll keep anyone hooked, I can enthusiastically say that Anarcute is one of the best surprises I've played so far this year. Overall, I enjoyed some of my time with Anarcute. I started off hot for the game, but the longer I played, the more I started seeing the flaws and getting frustrated or bored with the action.